Bike week has started in Daytona Beach, FL and Tuesday March 14, the ATV SX presented by Fly Racing kicked off the start of the 2017 season for the AMA ATV Pro National series. Wienen Motorsports' Chad Wienen stood at the top of the podium at the end of the day for the second year in a row. 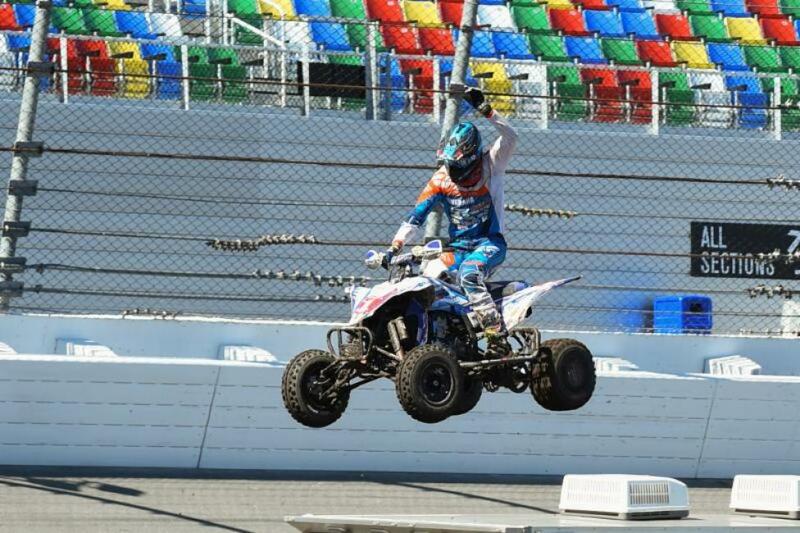 Wienen started the day by grabbing the ATVRiders.com Fastest Qualifier award. "The day started off a little wet from the rains we received on Monday. We didn't participate in the first time qualifying session and the second one had much better conditions to go grab the top qualifying spot later on in the session on my Wienen Motorsports Yamaha. " Wienen was placed into the second heat of the day. Not getting the best of starts, Wienen came out of the first turn just outside of the top five. With only six laps, Wienen had to charge hard on the field and was able to move up into the third place position before the end of the heat race. When the first official gate dropped for the ATV MX Pro season Wienen got off to a much better start coming out of the first turn in forth. Wienen moved into the second place position before the end of the second lap. With eight laps to go, Wienen moved into the first place position after the rider in first made a mistake and came off the machine. 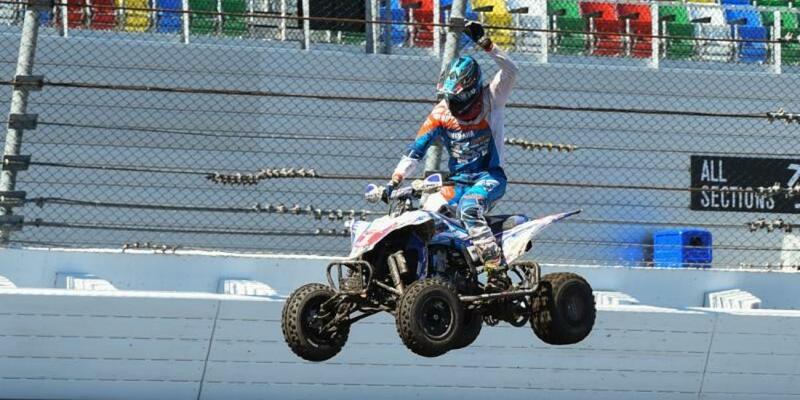 Wienen continued on to take the first win of the ATV Pro MX Season. "In the first heat I didn't nail the start and came out of the top five and ended up third. In the main I made some adjustments and was able to come out in forth made some quick passes for third and then into second. I was dialing in some of my lines and applying pressure to the leader. About half way I was able to take over the lead with the leader made a mistake. I was able to ride on to the victory on a rutted, rough track that you had to be on your toes all day long. I was able to ride 18 Laps mistake free and that made the difference at the end of the day. Thank you to my team and supporters who back us." The season will continue on April 1 at Underground MX in Kemp, Texas for the second round of racing of the 2017 season.